Aultman Orrville Hospital is introducing Stryker’s Mako Robotic-Arm Assisted Knee application, transforming the way partial and total knee replacements are performed. 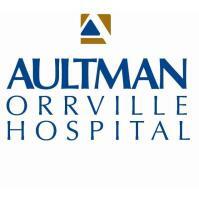 Aultman Orrville is the first hospital in Wayne County to offer this technology. For more information, AOH is holding a community-wide HealthTalk on robotic knee replacement surgery featuring Dr. Widmer. The HealthTalk is scheduled for Feb. 6 at 6 p.m. in the AOH Community Room. An open house is also being planned to introduce the community to this new technology.